Revealed for the first time at the start of last night’s special “Warner Bros. Television Presents A Night of DC Entertainment” panel, the updated costume was created by Arrow’s resident costume designer, Maya Mani, who provided the designs for many of the shows super suits, including the ones worn by Arsenal (Colton Haynes), Black Canary (Katie Cassidy), Speedy (Willa Holland) and Ray Palmer’s high tech A.T.O.M. suit. As fans will remember, Oliver Queen’s future as the Arrow was uncertain at the end of Season 3, which saw him literally driving off into the sun with Felicity Smoak. Prior to then, his secret identity was falsely outed as Roy Harper’s, who then had to fake his own death to end the Starling City’s PD’s mission to bring down the Arrow. But clearly, you can’t keep a good crime-fighting vigilante down for long. 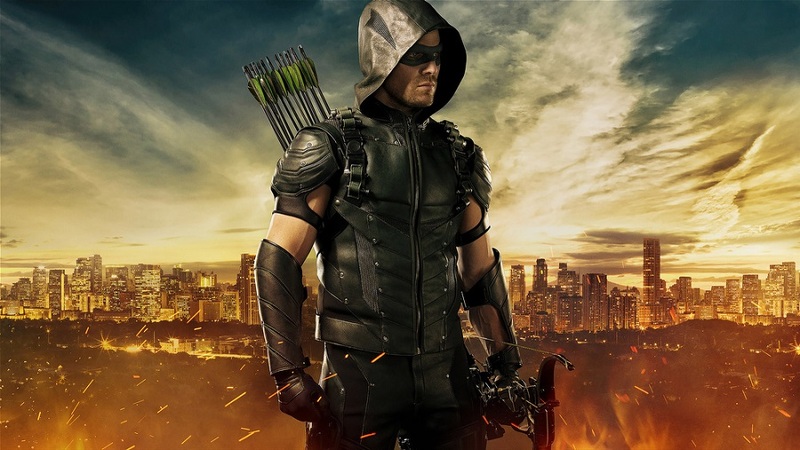 We’ll find out what causes Ollie to return to Starling City and don the new costume when Arrow’sfourth season premieres on Wednesday, October 7th on The CW.